Over the summer TANA undertook a number of projects. 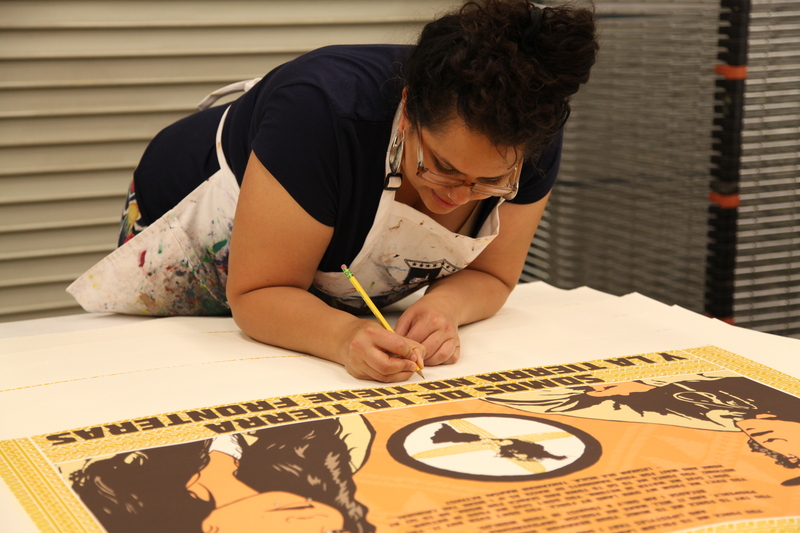 One of the projects that TANA carried out was the creation of several print projects in collaboration with Dignidad Rebelde. 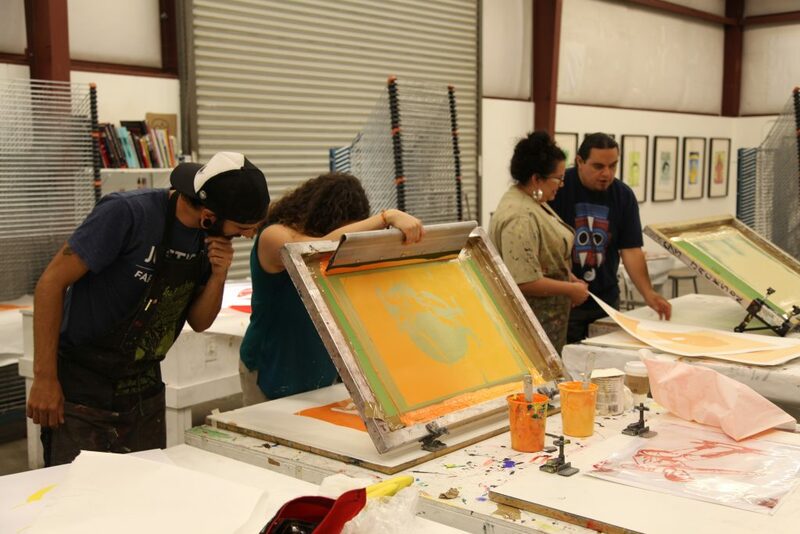 One of the prints that was created was produced as part of TANA’s Guest Artist Portfolio, the print is titled, “A Las Cuatro Direccions.” It is a 30″ x 44″ 4-Color, Handprinted, Screenprint Print on Archival Cotton Rag Art Paper, and it is designed by Dignidad Rebelde and published and printed by Taller Arte del Nuevo Amanecer. 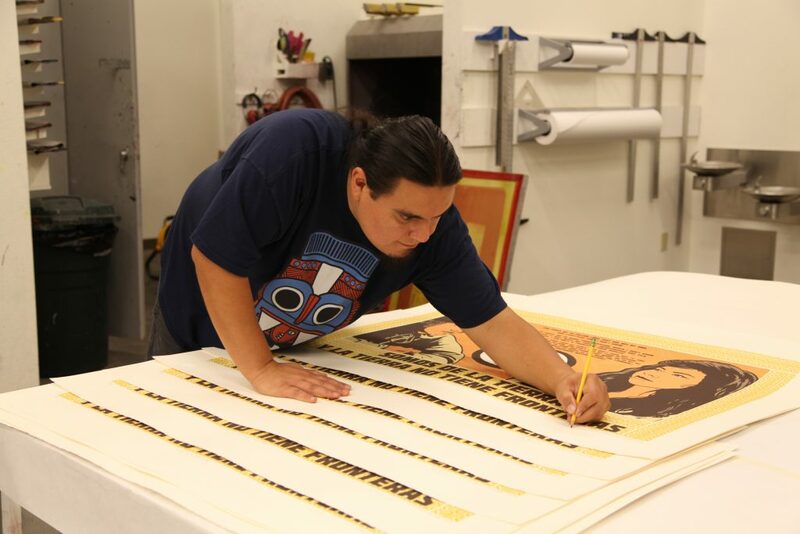 It says “Somos de La Tierra y la Tierra no Tiene Fronteras,” and also includes a quote from Lesikar Ole Ngila a Maasai activist. 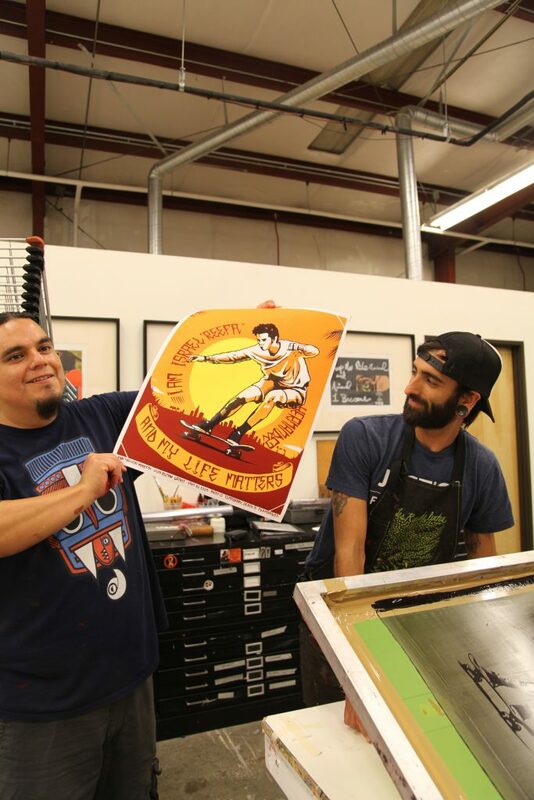 In addition to this print, Jesus Barraza and Melanie Cervantes also printed two other prints at TANA. 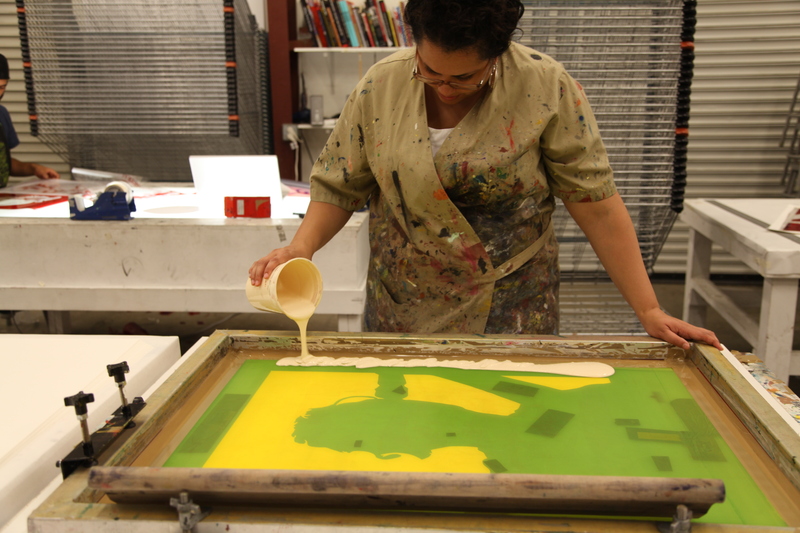 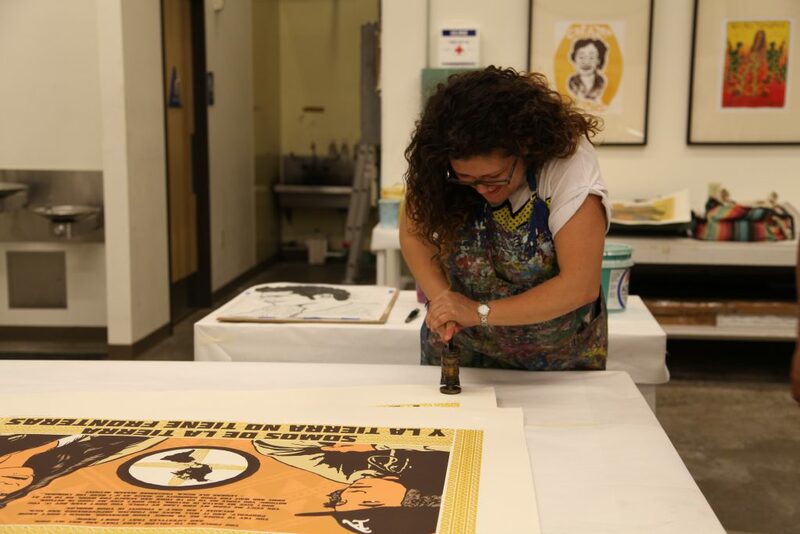 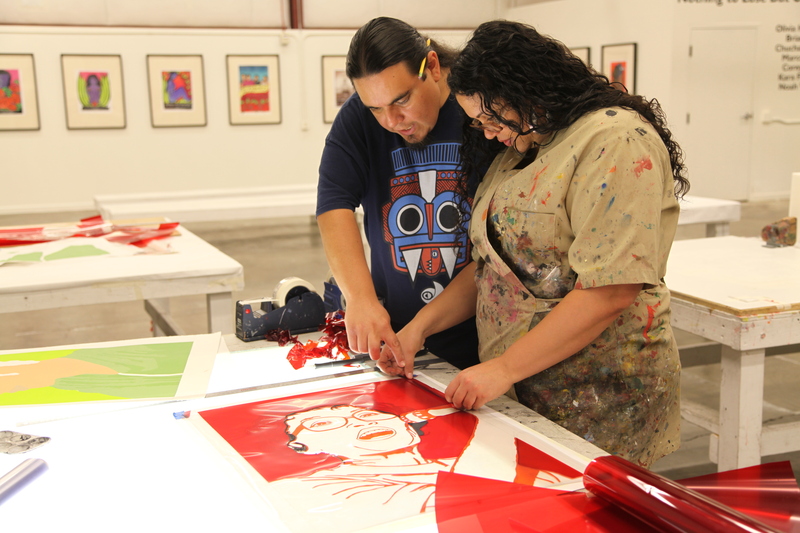 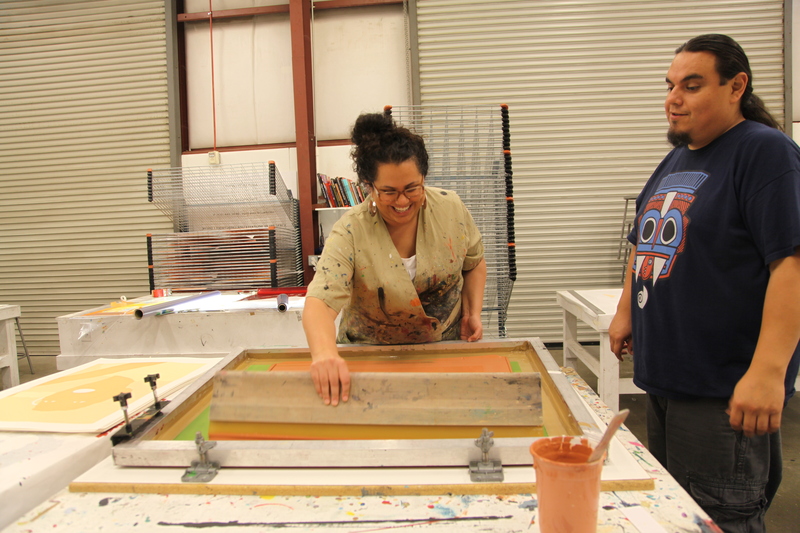 Jesus Barraza made a print of Israel “Reefa” Hernandez, and Melanie Cervantes made a print of Yuri Kochiyama. 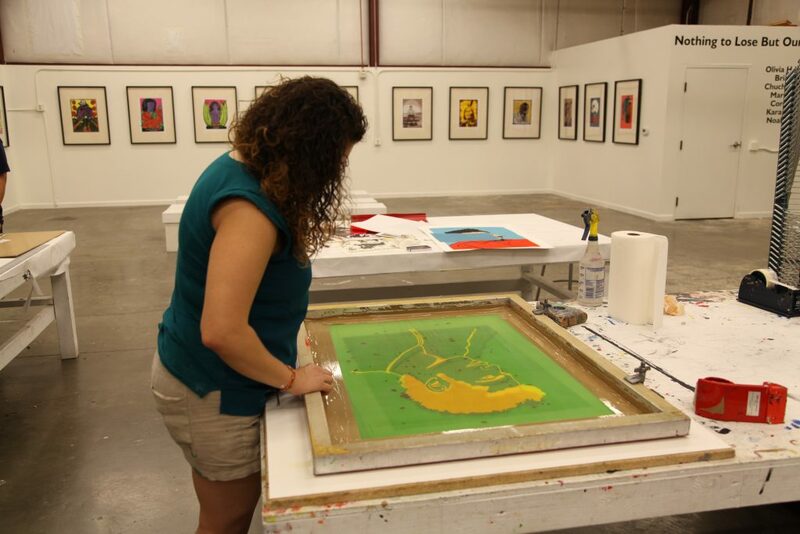 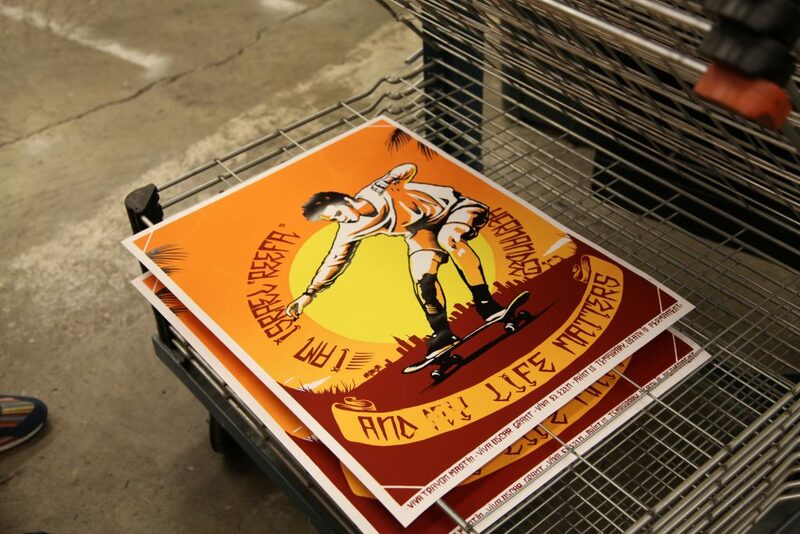 Finally, TANA also had the opportunity to work with Santiago Armengod over the summer to produce a print. 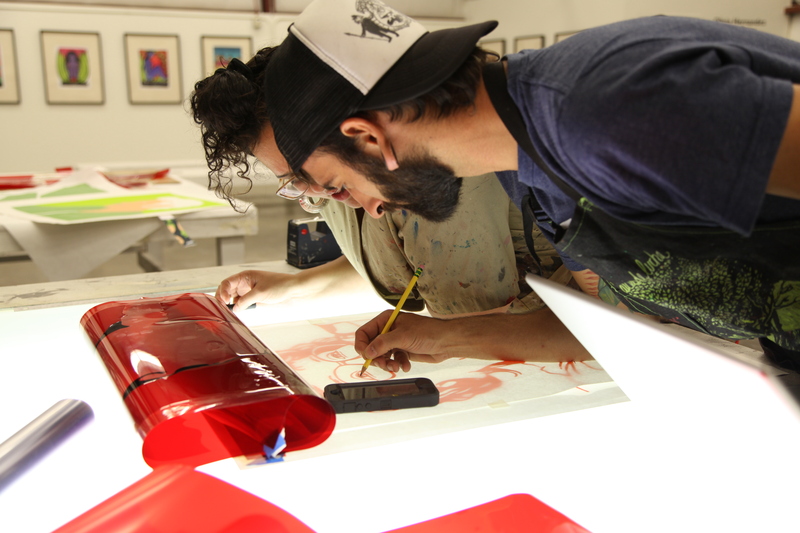 Santiago was a visiting artist from Mexico City. 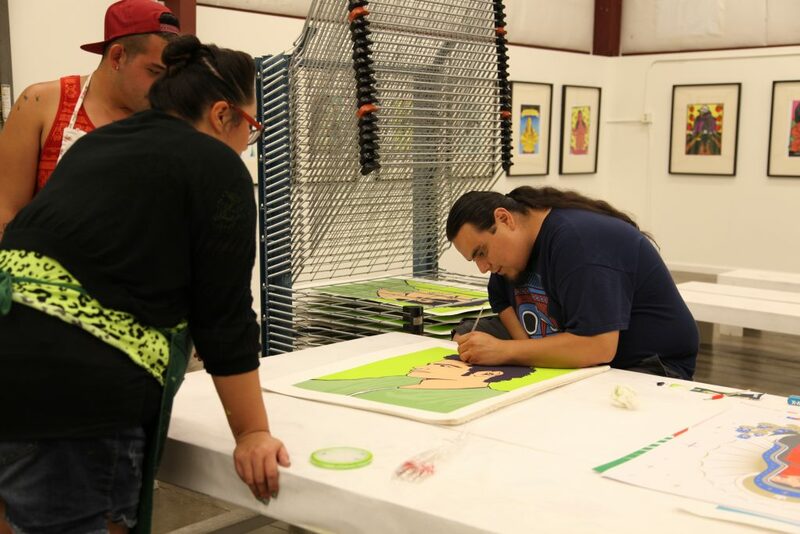 He was currently in the area painting a mural with the Native American Health Center in Oakland. 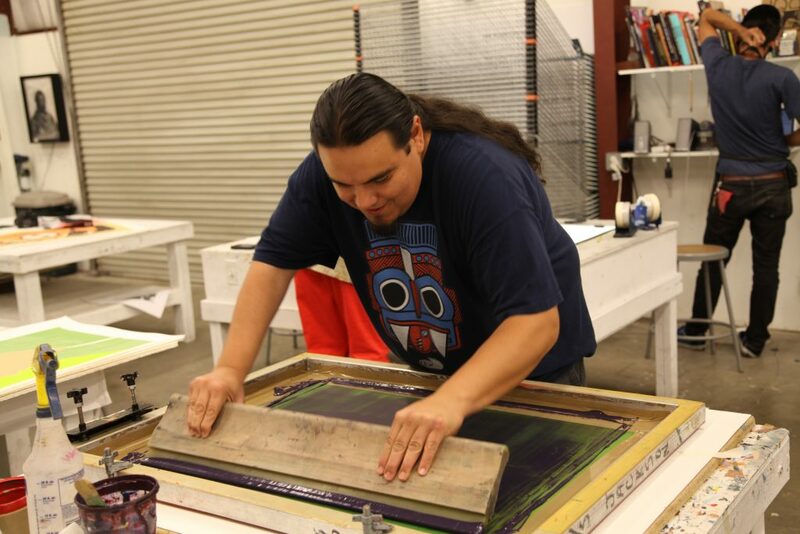 He is an exceedingly talented printmaker who works closely with autonomous social movements in Mexico, such as the Zapatisas, Cheran, and Atenco. 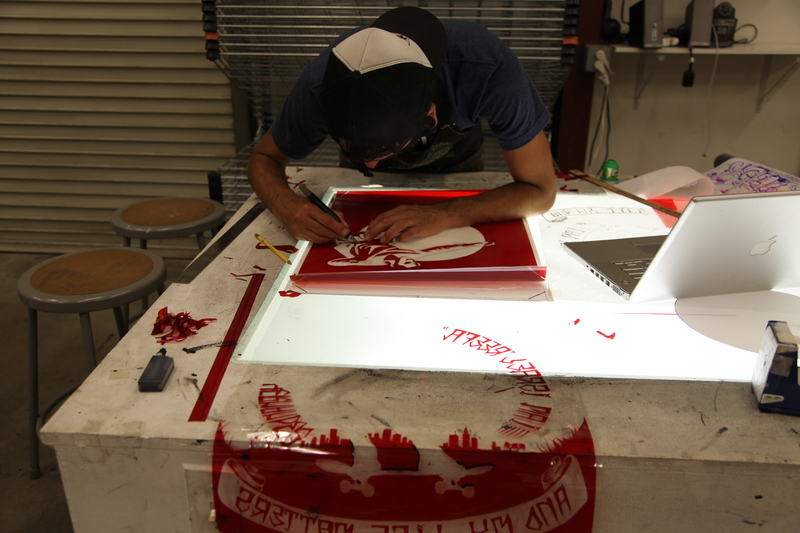 The print he produced at TANA was about Israel “Reefa” Hernandez, a Colombian Immigrant and artist shocked to death by Miami police.